The middle and northern Bay to San Pablo. 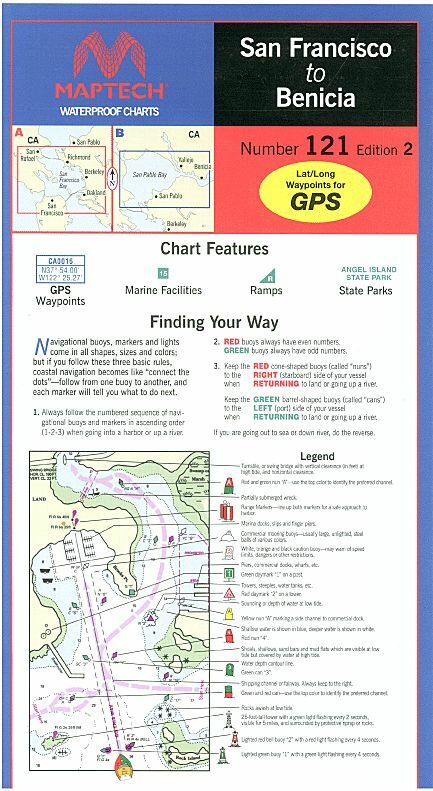 Includes the San Francisco waterfront, Alameda, Berkley, Richmond, Sausalito and Vallejo. 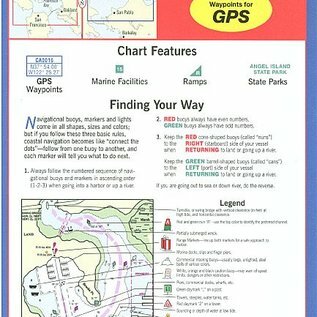 GPS waypoints, 48 marine facilities w/ service information, and state/federal parks. 24" x 36", scale 1:40,000 with insets.